6th Annual Drive for Victory Charity Golf Tournament! Once again we’ve had a successful day of golfing for good at the Drive for Victory charity golf Tournament at beautiful Blue Hill Country Club in Canton, MA. Thank you so much to everyone who joined us for a gorgeous day to support vital services for people in recovery, individuals and families facing homelessness, and people managing chronic illnesses like HIV/AIDS. Drive for Victory would not be possible without the hard work of our dedicated committee members, our outstanding volunteers, the incredible generosity of our corporate sponsors, and, of course, the amazing golfers who give so freely to attend each year. Even Mother Nature pitched in with the gift of sunshine after a dreary, overcast start to the morning! This year’s Drive for Victory charity golf tournament raised more than $60,000 for housing, prevention, and recovery services that help more than 2,500 people across our 19 programs each year, setting a new event record! 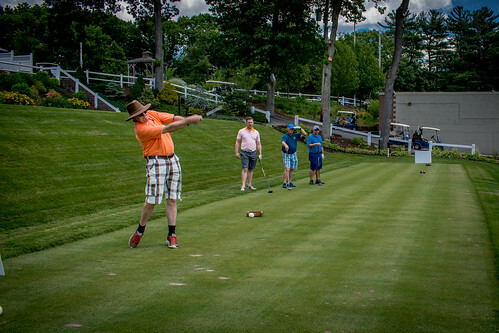 Photos from this year’s Drive for Victory Charity Golf Tournament!